how to use the tickbite kit ? is borrelia still alive ? skin problems & not feeling well. what does teaselroot do ? Why are there so many ingredients in the kit and how to use it? the "seen" problem: after initial infection antibiotics usually succeed in making the symptoms go away. at least they don't become worse. at this point many people do not need further help, the problem has disappeared. but in some cases - after a few month or even a few years - there will be new waves of infection. 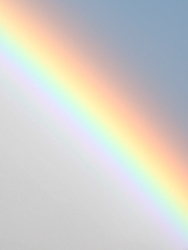 they may come in the course of the lunar month peaking around full moon, and with each wave the symptoms will become a little worse and stay worse. what's going on? Borrelia have gone into hiding and remain there until the effects of the antibiotics wear off. then they come out again and start multiplying. new antibiotics stop the reproduction of borrelia again, but do not lessen the already existing symptoms. after some time Borrelia come out of hiding again and reproduce, ..
with each course of antibiotics the liver and consequently the immune system become weaker. Lyme turns chronic. the "unseen" problem: the symptoms of Lyme are caused indirectly, by the metabolic waste products of the bacteria. Borrelia "stool" is toxic! It contains neuro-toxic substances that our body has difficulties to eliminate. As an emergency measure, in order to remove the toxins from the blood stream and ensure survival, our body stores them in places where they cause the least damage possible. since Borrelia toxins are fat-soluble they can only be stored in fat-containing tissue. If there is no "spare tire" around the waste (thin people) or the spare tire is already "occupied" by other fat-soluable substance (heavy metals, pesticides, solvents, ..) there is no other way but store them in nerve cells or in the synovial mucosa of the joints. when joint-symptoms dominate it is called Lyme, when nerve symptoms dominate it is called neuro-Borreliosis. teaselroot detoxifies borrelia-toxins. it is not very effective in killing borrelia! oil-composite kills borrelia. it does not detoxify borrelia toxins at all, but it prevents their production! you might need both, oil-composites & teaselroot. how to do it? as soon as Borrelia are reproducing, something must be done to kill them. if antibiotics are no longer your first choice, use oil-composite instead. it doesn't weaken liver & immune system. as soon as Borrelia has gone into hiding use that time for detoxification. a protocol based on teaselroot you'll find here. this protocol refers to other products besides teasel. they all help the body to get rid of the Borrelia toxins. picture it like this: the toxins are like a snow slab. Ttaking teasel is like stepping on the slab, the snow comes down in an avalanche and then just lies there in the valley. the body needs help to clean up the avalanche. Zeolite: prevent mobilized borrelia toxins from beiing erroneously reabsorbed (interrupt the entero-hepatic cycle). EM-Probiotics: to re-establish & preserve a healthy microflora after using antibiotics or oil-composite. Jiaogulan: especially recommended in case of difficulties to go to sleep or wind down, and "flying" nerves like in a race horse; also facilitates detoxification in general. what might happen: especially in the beginning teaselroot is like poking into a wasp nest - inactive Borrelia might turn active, and a new wave of infection is triggered. whenever this happens teasel should be discontinued immediately, and instead oil-composite should be taken; all ther kit ingredients should be continued. the moment Borrelia turns inactive again, resort back to the teaselroot. the first time I would do a thorough oil-composite protokoll for 2 weeks, after that 2-5 days will do. switching back and forth between teasel and oil-composite according to the situation slowly lessens the intensity of the infectious waves. it also enlarges the time interval between two waves until they finally fade out. this may take many month. the weaker the immune system to start with the longer it will take. today he seems like a whole different person. yesterday i had to carry him to bed, today he went for a run. yesterday he wanted to end his life, today he has future plans. i really don't know how to deal with these radical changes in him but i will listen to you and shut my mouth. It has been an interesting time to say the least. i have experienced severe symptoms both physically and mentally. the last 3 days there was much improvement. i have had a blood test only a month ago (3rd test) which said borrelia are still dormant. i do not doubt that the teasel is working and mobilizing toxins. i will continue with the treatment, today being the 60th day. How long should i continue the treatment? as long as things move, even if they move in unpleasant ways. things moving indicate that the treatment works. i do not know how many borrelia toxins remain in your tissue. once neither teaselroot nor oil-composite trigger any reaction in you the borrelia issue is finished. if you want to regain your health you will have to continue until this point either with the tick-bite or another treatment. is there a risk of overdosing teaselroot? i have taken teasel root about 2 weeks, at the moment 3 x 13 drops a day. i have had different herxes from the beginning. one evening we were at the restaurant and i took some glasses of wine. i seldom use alcohol. i felt horrible next morning. is it better not to use alcohol at all? should i continue until 3 x 30 drops a day and then stick to this maximum dose? is it safe? 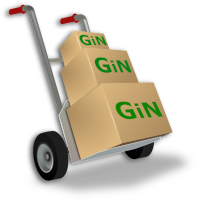 do you have other finnish customers from Helsinki, Vantaa or somewhere, with contacts you can send me? the dose of the teasel is like the accelerator of a car. the more you push it the faster the car goes. it is your choice how fast you want to go. the faster you go the more herxes. if they become too much to handle, just lower the dose. or give yourself a break for a day or two and recover. when the herxes slow down or disappear then increase the teasel again. like driving, the speed is determined by the road. and you have to learn how to drive without getting off the road. alcohol might not be the only thing you should stay away from while detoxing. once your tolerance towards alcohol increases again it proves that the detoxification has been successful. it might take some time. by the way the feeling next morning from too much alcohol is a very classic herx. Is it normal to have such terrible herxes? I noticed that when I take the drops a little bit later, I already have herxes at the usual time. Am I dependent on teasel or on those detox drops or others? I’m afraid of those herxes which I feel in my heart and my whole body. herxes are first of all the proof that the protocol is working - otherwise you wouldn't have them. the car is moving! now you just have to learn how to drive smoothly. if the car does not move (no herxes) you can not drive at all. teasel (and oil-composite) trigger herxes. increasing the dose is like pushing the accelerator of the car, decreasing the dose is like using the brake. everything else in the kit - i call them detox-aids - helps making the herxes smaller. find out what each of the detox-aids can do for you, which one helps you most and which on might not be worth the trouble. the kind(s) of herx(es) you experience usually give a clue to which detox-helper is indicated. with the herxes your body tries to communicate to you the kind of help it would appreciate. it takes some time to learn this kind of communication - you do not know yet how to correctly interpret or translate the signals of you body (herxes) into supporting action from your side. How do I know when to change to teasel root? I have now taken composite oil 1,5 weeks 2 x 7 drops / day and I have been in infrared bag as well every day, except last 3 days. I noticed very strong herxes after last time. What do you think about infrared bag? Is it good to use every day, during oil composite or during teasel root? how can I know when to change to teasel root, if I have herxs from this as well? It looks like I possibly have borrelia since 1999. I remember an then eczema in my leg. Then the dermatologist said that it is something else. After that I had influenza, thereafter nothing. In 1999 there was no ticks in South of Finland; but I visited the Ahvenanmaa archipelago. Is it possible that an old borreliosis has been hidding and became active after all those years? is it possible that some vegetable or herb, which I have been using in my daily juices, had activated this old bacteria in my body? strong herxes means: lots of toxins have been mobilized. infrared (like sauna) and teasel both mobilizes toxins, just mobilize them. your body has to do the rest of the work: throw them out. when the herxes are too much, the body lacks behind with throwing them out. it then needs help with throwing out things (clean drinking water, livermagic, zeolite, jiaogulan, ..), not additional mobilization. you can and should learn to coordinate "mobilization" and "helping the body to throw out the mobilized stuff". neither teasel nor infrared kill borrelia. this is done by the oil-composite. it is a problem to tell apart herxes caused by living borrelia from herxes caused by mobilized toxins. they feel similar, but not identical. there are patterns, but they differ from individual to individual. that's why there are no general rules and everyone has to find the own individual pattern by trial and error: if you suspect to have symptoms from living borrelia you should stop teasel (and infrared) and take oil-composite. if this doesn't help, your suspicion was not correct and you can go back to the teasel. drinking fresh juices does not activate bacteria, but it enables the body to clean up things it otherwise could not get rid of. you immune system uses the offered tool (juices) to clean up old stuff. that may cause herxes. herxes are the proof that it works. and if it bugs you too much, help your body to throw the mobilized stuff out, before mobilizing more. drink less juice and/or use more detox-aids. everyone detoxifying has either to learn how to do it or stop doing it. the good news, if you need a break or a holiday, just take it and stop mobilizing things. once you have recovered, start again. you don't have to do it all in one go! This year September I did a blood test and borrelia IgG was 78. What does it tell me? "IgG" means your body has produced specific "antibodies" against borrelia. from this we deduct that your body has had contact with borrelia. and from the amount of antibodies (in your case "78") we try to deduct "how much" contact your body has had and "how recent" the contact has been. there is a lot of guesswork involved. here in germany an IgG of 7 to 16 g/l is considered normal. i am more interested in what helps. it is more important to do the helpful things and stop the harmful ones. whether or not for example grapeseed will help you - i simply don't know. you will have to tell me. what i can tell you is: the "magic" ingredient of grapeseed is OPC. and vit-C is 5x more effective in the presence of OPC than without OPC. that's what the books says. whether this helps you or not, I don't knoe. but you can find out and tell me. How do I use Jiaogulan? Only by infusion in hot water? the jiaogulan is dried leaves und you can use them any way you want. most people make herbal tea from it. when i make tea i don't throw the leaves away but eat them. you could also make powder out of the leaves an add it to smoothies, salad, ... there is no limit to your creativity. in general hot extraction (infusion) of herbs accesses different properties of the herb than cold consumption of it. in the case of jiaogulan my opinion is, that it should not be boiled or cooked and that hot infusion is better than cold consumption. however some pet owners give it to their pets as powder on the food. You mentioned some time ago that mold (fungus) in the body is caused by heavy metals. Do you have more information?
. whereas mold spurs predominantly produce symptoms within the respiratory tract, it is a different type of fungus (candida etc.) that has heavy metal background. fungus has the ability to accommodate heavy metals within its cell walls. they are then "out of the human body" within the fungus-body (which is in the human body, mostly intestines). it is easier for our body to cope with feeding the fungus and cleaning up its metabolic waste, than to deal with heavy metal "running around" in the body: it chooses among two devils the one with the shorter horns. 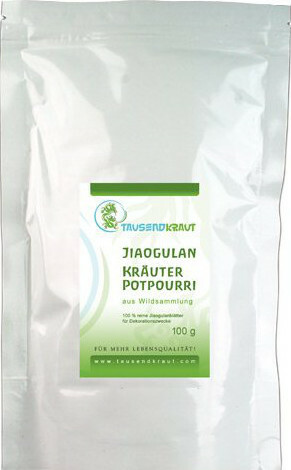 it cultivates "intestinal fungus-plantations" to keep a the big problem (heavy metals) manageable. the real issue is not the fungus but heavy metals (from tooth fillings etc.). as soon as i can get rid of the heavy metals the body will not tolerate the fungus anymore. to get rid of the problems related to fungus and mold it needs often a "renovation of lifestyle", a willingness to take on the trouble of living (daily chores), the curiousness of what comes around the next corner, a hunger for life as opposed of "oh no, there comes another day, i wish it would be over already". there is no answer or solution that fits everybody - sorry! what is definitely needed is the willingness of the concerned person - however motivated - to him/herself change something in her/his own life and give up the expectation of being changed by somebody else (like a doctor). when this is given working together becomes possible. heavy metal detoxification is complicated and needs to be practiced day after day until routine sets in. it needs to be learned like driving a car (with manual gear-shift). once you know how to accelerate und brake und use the clutch, there are a lot of other gadgets that are to be set in action according to the demands af the journey (light, windshield wiper, blinker, ....). driving-instructor is a demanding job. you have to be strict and patient, and never give up. there is great joy in seeing somebody driving away skillfully. detailed english information about heavy metal detoxification is available, for example: https://www.klinghardtacademy.com/. you might even get norwegian INFO if you google "dietrich klinghardt". regarding mold, most important is to prevent it from growing in the places you live and work. mold continuously produces spurs which will be inhaled by everybody who happens to be around. and the "allergy" prevents us from being around because we can't stand the symptoms. that's uncomfortable but good for health because, if possible, we try to minimize inhaling the spurs! get rid of the mold which might imply moving, renovating the house they live in, even change jobs. without this step any further steps become meaningless. to help the body to clean itself from the impact of mold spurs it might need all kinds of cleaning regimes (liver, kidney, intestines, ...) depending on the symptoms. the organs of detoxification (liver, kidney, lymphatic, system, lungs) need constant support for some time. that's quite different from person to person depending on symptoms and constitution. to help the respiratory tract: good quality ginger as spice (dry powder) und raw root, as tea .... many essential oils in spices like cinnamom, cardamom, nutmeg, star anise and the like may be quite helpful. they should be warming und "lubricating" (promote lung-secretion, coughing up the dirt which might clog the lungs) not cooling like mint, eucalyptus, etc. How to know whether borrelia ist still living? How long should I take oil-composite und how do I know whether it still works? the oil-composite kills borrelia (and other microorganisms), but has no effect on the borrelia-toxins. a general protocol for the use of oil-composite you find in the INFO-leaflet Parasite-Cure. in case you have no reaction at all (after 2 weeks of oil-composite), the problem is not living microorganisms (mycoplasma, pneumoniae, chlamydia, viruses) but something else, most likely borrelia-toxins. did you say to take oil-composite for longer period? i have used ite on and off for the last year or so. its good against dysbiosis - parasites right ? and also lyme ? oil-composite kills all bakteria. dysbiosis means the "wrong" mikroorganisms are multiplying. oil-composite will kill them, but at the same time oil-composite will not spare the "right" one's. to help the "right" microorganisms outdo the "wrong" ones, it needs "guided symbiosis" (Effective Microorganisms). I've been treated for lyme disease for 2-3 months and would like to become pregnant. Can I continue the treatment during the conception and pregnancy period. has your treatment helped you, has your conditions improved? what does the person say who advised you on what you're taking? in my opinion - without being a doctor or medical expert - most things that make the mother feel better serve the coming child. however when it comes to the mobilisation of fat-soluable (heavy metals, insecticides, organic solvents, ...) it needs caution and expertise. borrelia toxins belong to this class. It is mandatory to kill living borrelia, but i would wait with mobilizing borrelia toxins until pregnancy plus breastfeeding is over. Just making sure about the oil composite when its time comes - is it to be taken once or twice a day during the first three weeks? It says "as morning" for evening in the instructions but is in grey. Would you be able to say an average time frame for how long people usually take teasel for, before the Borrelia becomes active? The Karde (teasel) does not have a dropper. How am I supposed to count the drops? I bought a 250 ml bottle. 15 drops twice a day only as long as borrelia are active. in case they become active take no teasel but all detox-aids along with the oil-composite. for more details see the flyer . no time frame - in many cases borrelia don't become active at all. wait for the "in case". 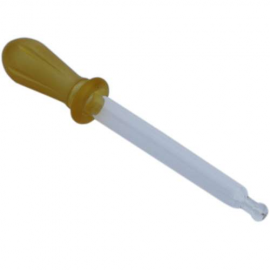 you can use a pipet. 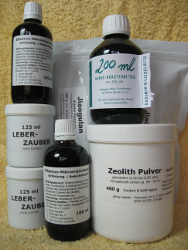 I have ordered Zeolite and also EM, is EM still the thing to take to establish a good microflora in the intestines? And if so, please advice me how to use it. a teaspoon in a glas of water with euch meal. reduce to half after first week. in case smelly winds should develop, double the dose until smell/wind goes back to normal. in case the stomach reacts add a few grains of salt. what do you normally recommend for your clients with gut dysbiosis ? i had some candida issues but i don't really get any reactions these days when i do pharma or antifungals really - and i have tried almost every single herb there is. i have been on a very strict sugar free and carb free diet for 5 years and continue so. also i have used your oils for parasites and of course your EM probiotics. i need to use some digestive enzymes when i eat - but beside that no real issues. i still have some problems with my liver - sluggish. thats why i countinue to use the liver herbs. im considering just to continue building on my system only using EM and a good strict diet - and good life style and let the body heal. if you are not sure that something helpful of the past still helps, just discontinue it for some time and than take it again. in case it doesn't make a difference, you don't need it. you can try again any time to confirm the answer. as as a kickstart into the issues try to digest the following question: are you tired of life? in case you the answer is YES, just continue to do things as you are doing them already. in case the answer ist NO, then change something and do things you haven't done yet. maybe you my answer sounds cheeky or harsh to you. sorry for that. you have asked me an honest question and tried to give you an honest answer. maybe the first step into changing is bringing yourself to the point where you can appreciate answers you don't like. the solution of your problems will not lie within the parameters of your liking (otherwise you wouldn't have those problems). Is Oil Composite suitable for a person who has penicillin allergy, penicillin sulfate allergy? there is no penicillin or related substance in the oil-composite. in case oil-composite triggers reaction i suspect allergy towards other substances contained in the oil. I do not have much pain in my body. But I am very tired, have low energy level. What can I do? tiredness often means a low-functioning liver. if this is so, bitters should make an impact. The liver has the greatest regenerative capacity of all our body tissues. But in order to do so - regenerate itself - the liver needs the stimulus of bitter taste. Unfortunately our food no longer provides that, because during the past 150 years bitter taste has been systematically removed from all western food items. An effective way to supply these missing bitters is Liver-magic, an ancient ayurvedic herbal remedy. The vehicle for the four powdered herbal ingredients of Liver-magic (Azadirachta indica, Andrographis paniculata, Emblica officinalis, Asparagus racemosus) is molasses. 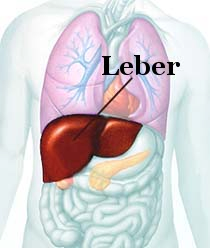 The liver has no pain receptors. Exhaustion / tiredness and other "hang-over"-like symptoms are the pain of the liver. They may result from food-poisoning, too much and/or too heavy eating, jumping time-zones, etc. Successful mobilisation of toxins, that have been stored in the body because it does not know how to eliminate them, or it's capacity to do so has been exceeded (overworked liver), also produces these symptoms (so-called Herxheimer reactions). The teaselroot has arrived and due to my fragile condition I'm a bit afraid of making mistakes. What should I watch out for? in the last segment of the large intestines the body recycles valuable ingredients of the digestive liquids (electrolytes, etc.). because borrelia toxins have similar properties they are mistaken for these valuables and get partly reabsorbed into the blood as well. the body cannot discern them 100% from the valuables it needs to recycle. again they get filtered out of the blood by the liver, are passed on into the intestines and get partly reabsorbed into the blood, and so on. this is called "entero-hepatic-circuit". the body can not get rid of them and cannot allow them to remain in the blood. finally it stores them away at some place where their disturbance of body functions are less severe. borrelia toxins are fat-soluble! means, they have to be stored in tissue that contains fat (nerves, fatty tissue and synovia). getting rid of stored borrelia toxins is hard work and that's why you feel tired, why your skin itches, why you feel easily irritated, why you tolerance is low, why you might get into a depression, etc. there are many potential reactions. some happen to all like tiredness, some happen to few. they vary from individual to individual in kind and severity. some call such detox-symptoms "herxheimer reactions" (originally this refers only to detox reactions triggered byantibiotics). what it boils down to is: your body needs help! the more severe your herxheimer reactions are, the more help your body needs: livermagic, zeolite, effective microorganisms, jiaogulan... which one helps the most? again it differs from individual to individual. you have to find out by trial and error. the good news is: the above mentioned detox-aids help almost everyone in any case. when it comes de detoxifying borrelia toxins the main workhorses are livermagic (or other bitters) and zeolite, followed by effective microorganisms and jiaogulan. that why we are selling them together in a "tick-bite kit". not everyone needs all ingredients, but it's a good start. problem: VERY often the detox-symptoms are not recognized for what they are. in the beginning they feel like one of the problems you get once in a while: like a coming cold, or you get a small skin-reaction, red & itchy eyes, slight headache, upset stomach, constipation/loose stool - nothing really serious and you expect it to go away by itself. picture your immune system like the retaining wall of a water reservoir with a drainage system to keep the water level within certain limits. the water is the sum-total of the toxins in your bloodstream. when a lot of toxins come into the body, the water level rises faster than the drainage work and the dam overflows: the result is for example a hangover from to much alcohol or other legal or illegal drugs, a food poisoning from rotten food, the tiredness from chronic lack of sleep of from jumping time-zones, ... sounds familiar? here we have the situation that symptoms caused by obviously different circumstances are very similar. though they vary from person to person, each person knows them well, classifies them as "familiar", as background noise that happens once in a while - not very serious with a tendency to go away along the day. when you mobilize toxins from deeper tissue into the blood - like borrelia-toxins with teaselroot - the water level also rises faster than the drainage works. only difference: the toxins come from inside into the blood stream, instead from outside. you get your familiar "hangover" symptoms anyway. you don't feel well but cannot relate it to the cleaning process triggered by the teasel. if you keep taking teasel, the water rises still faster, the hangover gets worse. irritated and disoriented you instinctively decide at some point to stop. you start feeling better within hours, your hangover works slowly off. unconsciously you judge that teasel is bad for you. because of this misjudgement many people drop a procedure, that correctly interpreted has been quite successful. because they expected the teasel to produce unknown symptoms they cannot relate their hangover to the working of the teaselroot. they believe that the familiar hangover symptoms must be related to something else and can't help the feeling that teaselroot gives them "nothing but more of already well known trouble". and then many drop it. instead one should learn how to control the "rising of the water level", how to detoxify in a way that allows to continue the duties of daily life. rule number one: the more teasel you take, the faster the "water rises", the heavier the hang-over. teaselroot is like the accelerator of the car and the speed has to be adjusted to the road conditions. I am now taking 15 drops of teasel a day, and i can feel the headache and upset stomach. I now consider detoxing. what do you recommend ? first of all i want to repeat that teasel is like the accelerator of a car. if it gets too much just lower the dose - get off the gas - or take a break. you are already detoxing! your body needs help to throw out the already mobilized toxins. and you should slow down mobilizing more of them. keep in mind that detox reaction are heaviest in the beginning. as they slow down you can/should increase the intake of teasel again (push down the accelerator gently! don't flor it. I am wondering though whether the Lymes has really all gone due to the short course of antibotics and whether I should be doing something else such as using teasel tincture for a while? I was bitten in mid July by a tick in the UK and roughly three weeks later started to feel ill and developed the target shaped rash on my back. I went to see my doctor and he gave me a two weeks course of doxycycline. I do not feel unwell now and have returned to my vigorous exercise regime. if you don't have symptoms or complaints i don't see a need for action. in case borrelia should not be completely gone, they would make themselves known. preventive measures don't make sense. i would expect them to be gone unless you feel ill again the same way you did before. if case you have the nagging feeling that you must do something you are welcome to take the teasel. no harm will come from that. 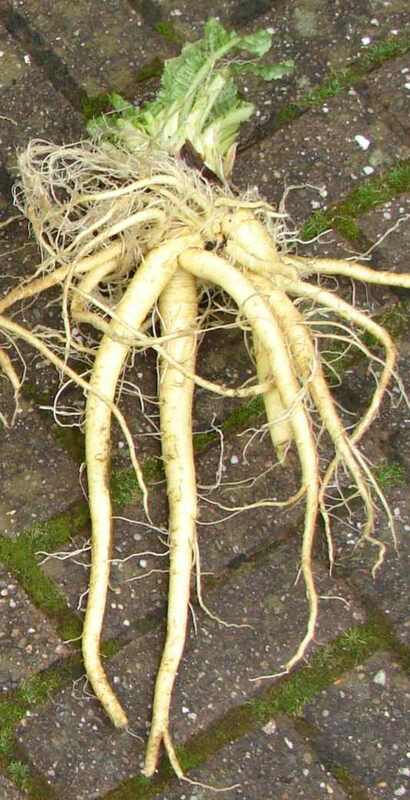 teaselroot enables the body to throw off a number af toxins. and in case there is nothing to throw off, you will just be "cleaning a clean car". im currently doing 3 times 1/2 teaspoon livermagic and am not sure if it's ok to take more to see if energy improves still more because? i dont want any side effects from it. - i have now used the livermagic for 2-3 weeks and must say im pretty amazed with the results. i have used a lot of different herbs for my liver during my cure for cfs-lyme, but nothing really beats livermagic. it gives me some more energy - despite im using lot of herbs against the virus and bacterias in my body. how come the livermagic is so good ? what does it that other herbs don't do? i'm bit afraid that the liver-magic makes my yeast issues bad again. Skin issues in trunk area acting up a bit, again which before has been due to yeast. Not sure if the molasses-sugar is too much if i have yeast issues in guts! What's your experience? your skin issues could be detox-reactions. yeast is usually an intestinal problem, not of the skin. the skin just has to help the liver with throwing out toxins. now, the question is whether these skin issues come from yeast-toxins or other toxins. yeast should react to the oil-composite, which kills them. if the toxins (causing the skin-problem) are yeast-related, the skin problem should get less when taking oil-composite. if the skin problem is not yeast-related, it should stay the same or get worse upon taking oil-composite. i have startet to use the EM-urlösung. i have noticed bit more stomach problems... not that its a problem but a bit... i know i do have some candida issues with the gut dysbiosis.... will the EM make that worse as i see it contains yeast which normally does not work with candida !? i'm trying to work up my dosage - can that create die off just like the herbs? basically i have reduced my dosages of teasel and oil composite - and increased my dose of EM and other pro-biotics the last weeks. regarding the stomach trouble: what kind of trouble? in case your stomach gets "sour", try whether a tiny bit of salt together with the EM alleviates it - and let me know the result. in case it does, always take a teaspoon EM with a little salt in a glass of water whenever your stomach gets sour. it 's really only very few grains of salt. once it tastes salty it was already too much salt. you could make use of heat in the sauna. the professionals call this kind of approach actually "hyperthermia". in case you do, remember that through sweating you loose electrolytes and other things that need to be "filled up again" - basically your detox-aids plus minerals and vitamins. i always make myself a drink which i take along into the sauna. and i make more drinks for the next 3 to 6 meals after the sauna. just get started and after a while you get the hang of what your body wants and needs. Does the EM create a die off if you have dysbiosis? Im taking 3-4 table spoons every day. I know its battling with candida etc. what might happen is, that the "good" bacteria compete with the "bad" ones in a kind of battle which usually produces bad smelling gas. if that happens or anything similar double the dose of EM until the symptoms wear off. I had another tickbite. Very small. Do u think keeping the oil composite and teasel will kill of any new bacteria as i really don't want to do antibiotics if it shows up i'm infected again! as to infection with borrelia you have asked the same question before. my answers cannot solve your problem. the information in an answer may inspire you to do something different from before. and the result - not me - will tell you, whether it is successful. you are afraid of renewed infection though there are no signs (yet). well, your problem at the moment is fear - not an infection that has not arrived yet and may never arrive. but you are really inviting it, why? fear is the worst councilor available. it makes you mix up all previous information. try to get the information straight again and seek help with your fears. I have been using teasel for 2 years and did big amounts daily with no real issues. I did the oil composite 3x20 drops for 2 month., also no real issues. What are the normal dosage tolerated by people with lyme? if teasel triggers no reaction, there is no significant amount of borrelia-toxins. if there is no borrelia toxins, there are no living borrelia and lyme is no issue. if oil composite triggers no reactions, there should not be any issue with infections. conclusion: the problems you have most likely do not result from borrelia or any other kind of infection. When taking teasel I just get skin problems and do not feel well. Should I stop? and the symptoms caused are in all cases for the same person very similar. and though the vary from person to person, each person knows them well, classifies them as "familiar", as background noise that happens once in a while - not very serious. when you mobilize toxins from deeper tissue into the bloodstream - like borrelia-toxins with teaselroot - the water level also rises faster than the drainage works. only difference: the toxins come from inside into the blood stream, instead from outside. you get your familiar "hangover" symptoms anyway, which science then calls "Herxheimer reactions". you don't feel well but cannot relate it to the cleaning process triggered by the teasel. because they expected the teasel to produce unknown symptoms they cannot relate their hangover to the working of the teaselroot. and consequently they believe that the familiar hangover symptoms must be related to something else. instead of dropping the teaselroot one should learn how to control the "rising of the water level", how to detoxify in a way that allows to continue the duties of daily life. the more teasel you take, the faster the "water rises", the heavier the hang-over. taeselroot is like the accelerator of the car. speed has to be adjusted to the road conditions. 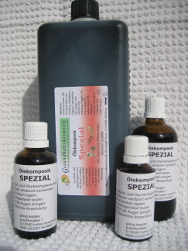 i am taking teaselroot and livermagic. is it possible, that liver-magic makes me more tired? if you are not sure after one day.. I had some days off teasel and energy is a bit better. Is that because the teasel releases a lot of toxins that makes you more tired ? yes, the teasel releases the borrelia toxins from the cells. they go into the lymphatic system, where they are party modified. there they move along the digestive canal and leave the body as part of the stool, but..
besides lyme's disease what other ailments can the teaselroot be used for? are there any contraindications like diabetes, adrenal tumor etc.? and what side effects may one experience? How long is the recommended period for one to take teasel? In my opinion, the teaselroot does not only clean out the toxic waste-product of borrelia, but all similar metabolic products of microorganims, that may be co-infecting agents of borrelia. it cleans the affected tissue thoroughly (which takes about three month up). and I don't know wether it really kills these microorganisms, or whether they just leave because they don't like the cleaned-up tissue any more. it seems, that borrelia needs it's target-tissue already weakened by either other microorganims or toxins. if teaselroot cannot throw off borreliosis completely, it needs additional heavy metal detoxification. in some cases exposure to other fat-soluble toxins plays a role (work, building materials), and these may have to be detoxified. within a month you'll know without doubt, weather the teaselroot helps or not. i recommend to take teasel as long as the concerned person improves. if in doubt, discontinue the teaselroot and start it again after a week or so. it's the most gentle clean-up of the affected tissue (that I know of). teaselroot does mobilize quite a number of toxins, which then have to be eliminated - additionally to the daily chores - by the organs of our body, especially the liver. That may sometimes be beyond the body's capacity, in which case it causes detox symptoms and initial aggravations. biologically very weak persons cannot detoxify at all. they need to be built up to the point where detoxification becomes possible again. 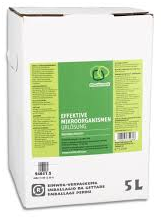 whenever nerve tissue and/or synovia are effected by waste products of microorganisms, i would first use the teaselroot - until it brings no further improvement; the time frame is different from case to case, as indicated by the physical reactions of the individual. when in doubt, take a break for at least a weeks and than take it again (full dose!). in case, there are no reactions, the teasel has completed its job. Can I put my 17 year old son on a parasite-cure without him being diagnosed? he got a serious attack of parasites and salmonella 5 years ago on a trip to Kenya. He was treated down there with a ton of antibiotics, got okay again, but his health made a dive after that incident: lots of colds and low energy. I have given him probiotics and kept him off gluten, as far as I can control it, but I can still see (by tongue diagnosis) that there is something going on down there. the tiredness of your son may very well be the consequence of the antibiotics. they tend to weaken the liver, a weak liver tends to result in feeling exhausted even after sufficient sleep. in case, this is correct, livermagic should lessen the feeling of exhaustion. an additional question is, weather bacteria are still alive. the chances for this being the cause of his tiredness i estimate as very small. what usually happens is, that the intestinal fauna gets tilted by the antibiotics and the new balance, that is established within the intestinal fauna after stopping the antibiotics, works different from the one before the antibiotics. as a result the food is less effectively digested than before and the system is generally weakened through this less effective digestion. another anti-parasitic treatment, even with "bio-agreeable" alternatives, will not strengthen the liver, nor make digestion more effective. however, it may - if parasites and salmonella are still active (which i doubt) - lessen the symptoms. check, weather bitters reduce the exhaustion of your son. if they do, he should take bitters until the exhaustion cannot be further reduced by the bitters. after same days, your son will know, weather the bitters help him or not. if both are done together, one will not be able to tell, where the help comes from or what kind of help comes from which of the methods. your son should be able to tell and decide through his own experience, how much and when to take these things. if you decide for him, he will not learn, how to assist his body in times of difficulties. There is just one big but about the whole thing. In my stool sample Blastocystis hominis and Dientamoeba fragils trophs were detected. My doctor told me that they had no cure for at least one of them until 5 years ago. And my fear is that Morten has the same. We will run the test on his stool as well, and then we will know. But I still need to order the liver support, the Effektive Mikroorganismen and the zeolite. I feel I have to use that for a loooong time, and Morten, too. both microbes belong to the protozoa. like many other microbes, they sometimes cause trouble and most of the time they don't: some people get sick, most don't. it's this way with the common cold, with borrelia, with candida albicans, with escheria coli, with ...., probably with Blastocystis hominis and Dientamoeba fragilis. the presence of the microbe is only one of many factors - some people get sick, some don't. the problem may not be the presence of the microbe. the important question is, why some persons bodies allow the microbes to behave pathologically, while other persons bodies don't. therefore prolonged and heavy anti-microbe-treatment may not always be the correct response and may sometimes weaken the body further. i would like you to let go the idea of a successful treatment having to be long and without noticeable results. if you succeed in doing something good to your body, your body will let you know right away - you'll feel better. if you don't feel better, the treatment wasn't successful and you are well advised to try something else. when the body does not react, you have asked an unimportant question, taken an unimportant remedy, ..., in other words, it didn't matter. just trust your body! take it's messages serious, even if they disappoint you or don't meet your expectations! if someone tells you something and your body tells you something else, i recommend to listen to your body. it doesn't lie - it can't. people may lie, but at the same time their body tells the truth. in such case i listen to their body while paying less attention to their words. Where do I get the best products? a man moved to another town. since he was very fond of danish pastry, he started asking around, which of the many bakers in town was producing the best danish pastry. he started with the bakers themselves and they all give him the same answer: "I make the best danish pastry." so he realized that he would have to find a trustworthy source of information. in the same town a few persons were living, who were highly estimated by all the citizens: a female scientist, the priest and a businessman. the female scientist said, that she cannot answer the question without solid research. the priest said, that he is the brother of baker olson and therefore is to biased to give a valid answer. the businessman said, that one has to consider the relation between cost and quality, and that therefore there can not be a single answer to that question. the man felt confused and - as a last resort - decided to ask the local witch. she told him to eat a piece of pastry from every baker and let his stomach decide the question. I got a tick bite one month ago and started antibiotics four days ago, Amoxin 500 mg 4x day (three weeks), and I am not very sure that it would take all of borreliosis out of my system.. I have no serious symptoms, but I don't want any in the future. What do you suggest? To take all of those antibiotics and after that some herbs? Or as soon as possible start also with herbs? Simultaneous with antibiotics? I am interested in that tick-bite-kit. Would the 40-days pack be enough? I am healthy 41 years old man and live and eat naturally, don't use any other medicine and no alcohol or cigarettes. what symptoms do you have? what makes you think, it might be borreliosis? if i had no symptoms, i wouldn't take anything at all - for sure no antibiotics. if i had non-serious symptoms, i would trust my body to get rid of them. if - while letting my body take care of the problem - my symptoms became more serious instead of disappearing, than i would take action. if you mail me your landline phone-number, i can call you (my flatrate includes finland) and ask you some questions. with the help of your answers i can probably guess, what your problems are and make some recommendation. I got the tickbite at the end of July when picking berries. I noticed it two days later. The tick was still attached to my left upper arm (back of it so I could not see it, but something got loose when I scratched itching point) and after that came more itching and red area around bite, about 7-8 cm wide. Next week I felt little like flu and little bit tired but it went by resting. And then my right wrist got pain. Not very bad, but still it was really not ok. I thought I harmed it somehow and went to osteopath and he could not find anything wrong in it, suspecting I had over-exercised it. I looked at the bite via mirror and saw that it is not right yet. So I called a health-center and asked for a test. They said it was too early to test because it would not show in the test yet (after 2,5 weeks), so I waited one week. after the test they called that I should start antibiotics immediately because the result was so high. I started abs last wednesday, 4x day Amoxin 500 mg.
Now that feeling of tiredness, little flu and wrist pain comes and goes. The bite is not itching so badly. After I called the health-center regarding the itching, they said I could apply some hydro cortisone to it, suspecting it was some other bug who caused the itching. I treated it with fire needle (I am an acupuncturist). Fire needle is like a cortisone injection in Chinese Medicine. This decreased the itching and also the area got a little better. I feel some up and downs in my mood as well and my head is not in its clearest state. And there is some weakness in my muscles. In the last couple of nights I didn't slept well - mostly because I saw all those horrible stories about Lyme in the internet! I know, that some of the above may result from that heavy load of antibiotics because I use medicine very very seldom. I don't know how trustful the test is, but I really want this bacteria (and everything that came along) out of my system as soon as possible. Now I use lactic acid bacteria to help my stomach and intestines to take all of that antibiotics; and chaga tea to support my immune system. I can also needle myself to support liver and immune system. I just want to check if I understood right. I continue with antibiotics until end and at the same time I start to use Liver-Magic. And Oil-Composite? Right after abs I start cleaning with Teasel Root and at the same time I use Liver-Magic. I also continue with filtered water and green tea, pro-biotics and acupuncture. If Borreliosis bacteria comes back I stop Teasel Root and take Oil-Composite for few days and then go back to cleaning with Teasel Root. One more question: What are symptoms for bacteria itself and what are symptoms for toxins? Is this right? If yes, I order Liver-Magic, Oil-Composite and Teasel Root from you. You know how much I will need of those. I am 41 years old and my weight is 69 kg. Could you send me information how much I should take each of those daily? right wrist pain and all other symptoms before use of antibiotics, even if they were hard to notice. when borrelia becomes active, your personal symptoms will show up and grow along with the borrelia population. the teasel will make these symptoms slowly become better, but at the same time you may experience any number of detox-symptoms. so it's important to learn how to discern between detox- and borrelia-symptoms. i will sent you the small units of oil-composite & livermagic to last along with the teasel. it will be enough to find out, weather they work for you or not and will help with the decision for your probable next purchase. So I should not use Oil-Composite and antibiotics at the same time? I was surprised that you are sending me only small amounts of herbs. Now I realize the meaning of your phrase "weather they work for you or not". I certainly want this disease out of me and I really hope these herbs are right for me. I still feel, that I missed out doing something for those one or two weeks because in health-center they did not react very fast. Unfortunately in Finland borreliosis is getting more common. I was surprised how little knowledge there is about this problem in our health-centers. They are just chasing the bacteria... One big idea came yesterday when I realized that it was meant for me so in future I can help people here how to deal with it. Thanks for listing the symptoms - I feel already some of those detox-symptoms and wrist pain is getting better although the wrist still does not like too much of a strain. And this feeling of a little flu or getting tired/weak easily seems partly due to the using of the antibiotics. i think it is a very good idea, to make your experiences with borrelia and your treatment available for others. since you are an acupuncturist, your have a good feeling for your body and the body of others and may help many to individualize these alternative methods in order for them to become effective treatment. the biggest factor is fear! there is no cause for fear. borreliosis is curable and whoever succeeds in doing it, will improve his/her general health along and become more responsible for their own body, mind & emotions. i'd be happy to have you helping the people from finland, especially when their english is not as good as yours. this could even contribute to your living. Can you assist me in purchasing the appropriate supplements needed? I was given your website to order Dr Storl's tinctures since I am suffering from chronic Lyme disease over 14 years now. Could you please direct me to a physician that speaks English, so I can order the appropriate supplements needed. I am waiting for the Lyme book for almost a month and would like to begin my treatment as soon as possible. I am in sever pain and can't think clearly. we could also talk over the phone, since i have a flat-rate for non-cellular-phone-calls including USA and the UK. What will be more economical to do, buy the kit? I am still waiting for the book. I was hoping to speak to Mr. Storl or a German holistic practitioner who speaks English, so I can have a plan in place. I met Johannes, a student if Storl's, who indicated that it might take me 3-4 months to heal the Lyme I am originally from Greece however I came for my studies here in the USA. more economic would be to just buy the teaselroot and slow down, once the herxheimer-reaktions (detox-reactions) set in. from your questions i infer, that you have not payed attention to what is happening in you, nor to what will happen to you, once you start detoxifying. i recommend, that you try to understand in order not to be surprised, alarmed or afraid, when it happens. because it will happen and you should not react fearful, but simply do the right thing to alleviate the herxheimer reactions. once you understood the process, you can just go through with it as long as it might take. that also is individually very different. i assume, you learned to drive a car. in order to do so, you have to combine a number of things. it takes some time to learn the necessary coordination. once you have learned it, you still have the choice between fast and risky driving or comfortably and slow driving. the latter takes more time, but requires less attention. your choice. there is one big difference in this analogy: if don't have a drivers license, you can always get a cab, or go by public transportation, or... but nobody can drive the borreliosis-road back to health but you yourself - no cabs, no rides possible! One question about the oil-composite (parasite-cure) I bought. I was feeling like I was getting a virus last weekend and didn't have the oil-composite with me, so I took it later when I got home and during working the nightshift. I took like 4 times during the evening and night (10 drops in a glass of water). in the morning I was so damn sick with fever and felt like my head was exploding. 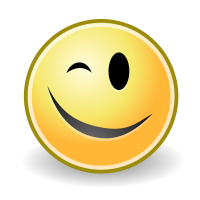 than I took some paracetamol in the afternoon and after that I was o.k. and could work the nightshift again. So my question is, how should I take this oil-composite? I remember you said to take it as soon as I feel any symptoms of infection, but how often should one take it and for how long? do you have some good advice? overdose is very probable. if you take a heaped teaspoon full of vitamin C or another strong antioxidant and feel better within 30 min, you were overdosed. if not, you were not overdosed. the oil-composit is a strong oxidant, therefore it's neutralized by strong anti-oxidants like vit-C.
in an oncoming infection, it is important to take it quickly and in a large dose. but it is individually very different, what a large dose consist off. you and every other user have to learn, how to individually deal with the oil-composite. the easy, quick and harmless neutralisation with vit.-C allows everybody to find out by trial & error. ok, if I understand it right, you can not say at what point one should stop taking it? Probably when one feels ok again after the infection, and until then one takes it maybe 2-3 times a day... anyway, too late to tell weather I was overdosed or not. that's right. i can only tell, when i myself should stop taking it. my own behaviour, feelings and/or looks are giving me clues. but that should not be generalized. We would like to order a tick-bite kit. Is there anything special to take in consideration, when dealing with 11-14 years old children, for example doses? please remember, that all talk about doses are but recommendations based on averages resulting from a variety of individual experiences. the "correct" dose for any individual can only be determined by the individual bodies reactions to those averages. if you did not buy the products for yourself and just "treat" other persons with them, please take the products yourself first, even if you don't need them. go to the limits with the doses and you will be able to recognize in others, when their limits are reached. 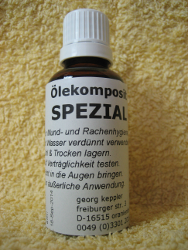 i have included a 30 ml bottle of oil-composite with an english leaflet ("parasite cure"). it's what i generally recommend, when borrelia becomes active again. in that case one would stop the teasel, but keep taking everything else (zeolite, jiaogulan, effektive mikroorganismen, livermagic) plus the oil-composite (10 drops twice or 3x a day). effektive mikroorganismen needs to be taken with at least a 2,5 hour gap to the oil composite (both ways). as soon as the borrelia-attack subsides - generally after a few days - one switches back to the teaselroot. in case of future borrelia-attacks one responds in the same way again. these attacks will than become shorter in time and less and less frequent, until they finally cease. the oil-composite can be also used in case of any internal or external infection or parasite-based complaint. How do I know, weather my liver needs help? And how can I help it? The liver has no pain receptors. Exhaustion, tiredness and other "hang-over"-like symptoms are the pain of the liver. They may result from food-poisoning, too much and / or too heavy eating, jumping time-zones, etc. Successful mobilisation of toxins, that have been stored in the body because it does not know how to eliminate them, or it's capacity to do so has been exceeded (overworked liver), also produces these symptoms (so-called Herxheimer reactions). The liver has the greatest regenerative capacity of all our body tissues. But in order to do so - regenerate itself - the liver needs the stimulus of bitter taste. Unfortunately our food no longer provides that, because during the past 150 years bitter taste has been systematically removed from all western food items. An effective way to supply these missing bitters is Liver-magic, an ancient ayurvedic herbal remedy. 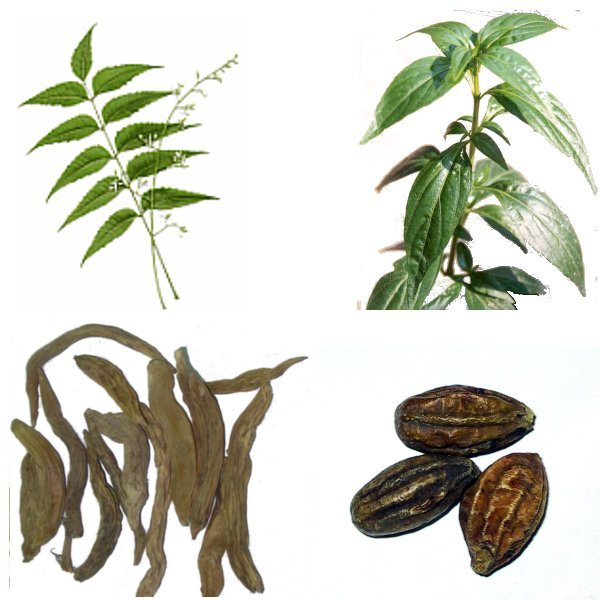 The vehicle for the four powdered herbal ingredients of Liver-magic (Azadirachta indica, Andrographis paniculata, Emblica officinalis, Asparagus racemosus) is molasses.